Six of Charlotte’s nine chicks have arrived safely and a day early! One sadly did not make it, and there are two more under her still. The sweetest of broodies, she actually pecked at me today, which was a very good sign. That protective nature is definitely what you want from a mother hen. I’m sure I’ll recover, but it will be a while before I eat, I think. *shudder* Raising chickens, while thoroughly rewarding, is not without its occasional gross out moment to balance the scales. Still, these little fluffsters are pure joy to behold! © motherhendiaries 2015, all rights reserved. Congratulations to Charlotte – her babies are gorgeous! 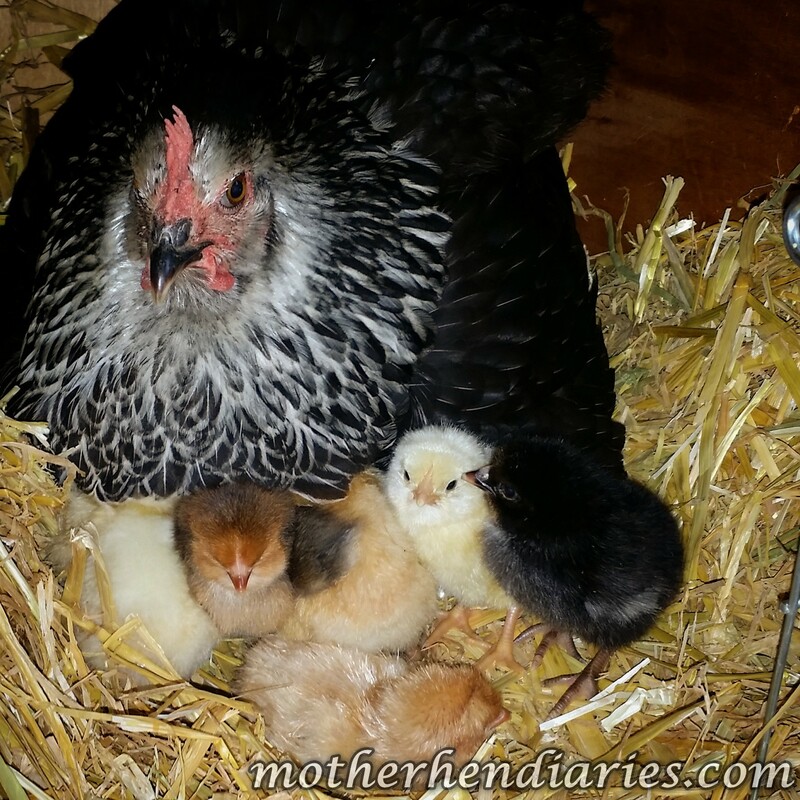 I am STILL trying to talk the hubs into keeping chickens…he’s not budging. That just means I’ll need to live vicariously through you.